Company numbers can be added to your account and assign it to your existing extensions. 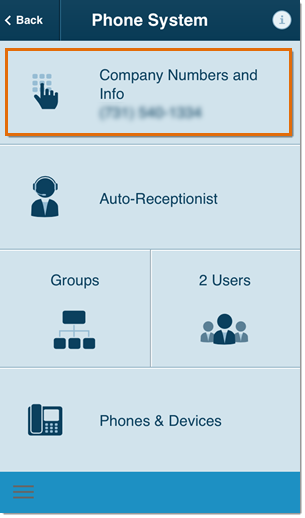 This article will guide you on how to add phone numbers using your Office@Hand mobile app. NOTE: Standard rates apply. You need to be an account administrator to perform this action. 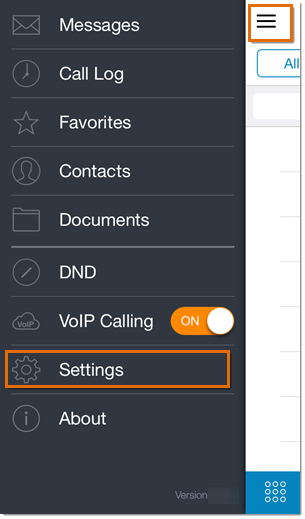 Tap Menu and select Settings. Tap Phone System from the panel. Tap Company Numbers and Info. 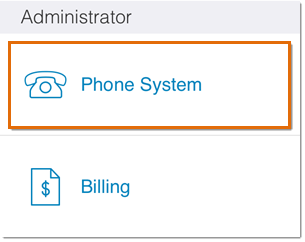 Choose any of the suggested numbers, or Change Area Code. Tap Next to continue. Assign it to an extension. Tap Next to continue. NOTE: An additional number costs $5.00 per month. The additional number will now be displayed under the Company Numbers once added successfully. Choose the suggested numbers displayed on your phone, or Change Prefix. NOTE: There is a $30 one-time setup fee applied to this option. Assign the extension to where the additional number will be assigned to. Tap Next to continue. Type in any combination of letters, numbers or wildcards that you want, and tap Search to check if the number is available. NOTE: There is a $30.00 one-time set up fee for this additional phone number. Select one vanity number and click Next to continue. NOTE: The vanity number will take approximately 7 days to become active. Assign the vanity number to an extension. Tap Next to continue. 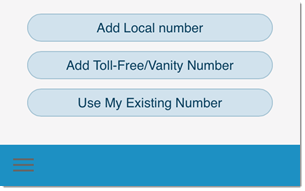 The Vanity number will now be displayed under the Pending Numbers once added initially. The activation will take approximately 7 days. You have now added phone numbers on your mobile app.